Francois, an introverted teenager, goes to live with his uncle in scenic Provence after his mother dies. He becomes infatuated by the uncle's stunning girlfriend Wendy, a situation that can only end in heartbreak. Helen has been incapable of speech since seeing her husband die - will she become the target of a deranged serial killer targeting disabled people? Candy: [referring to Skip McCoy] He's been fighting something inside him. Something decent, trying to crawl out. 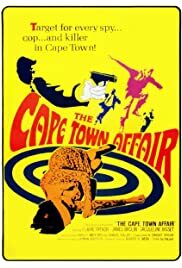 People who are fans of Samuel Fuller (who was one of the writers) or wanting to see early appearances by actors James Brolin and Jacqueline Bisset might find the prospect of watching "The Cape Town Affair" promising. But it won't take them very long upon watching the movie to start regretting their decision. The big problem with this movie is that it is incredibly boring. It's talk, talk, talk, with pretty much NOTHING of consequence or importance happening in the first two- thirds of the movie. A few things happen in the last third of the movie, but not much, and it ends up being almost as boring as the first two-thirds. Another problem with the movie is that the central character (played by Brolin) is not very likable - you'll be wondering why you are bothering to follow this selfish and cold individual. By the way, if you are wondering about the Cape Town setting, while it does occasionally add a little color in the backdrop, it's otherwise wasted - with almost no rewriting, the events of the movie could be taking place in Los Angeles. This is one movie that's pretty much a complete waste of time.